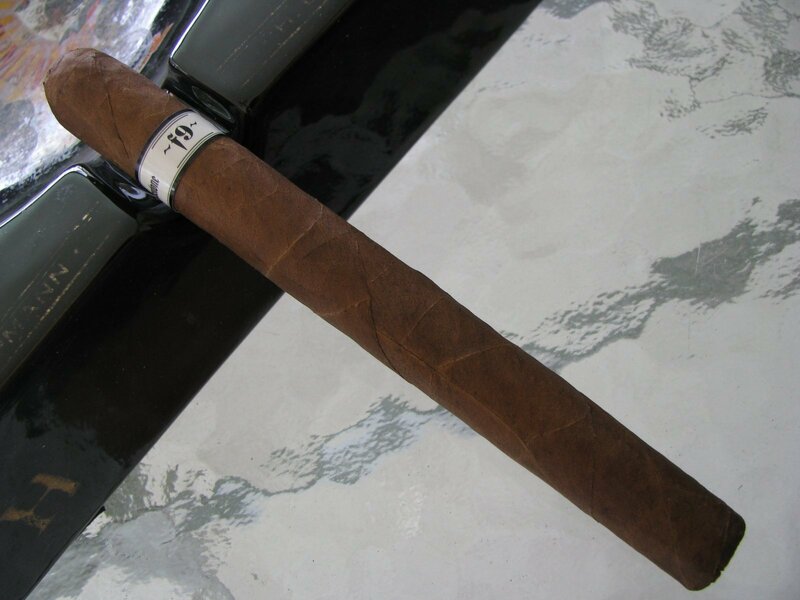 I have smoked several of this specific vitola from illusione in preparation for this review, and a number of their other offerings in the past year or so. Some were good, some great. None have been a disappointment, as I find myself migrating more toward Nicaraguan tobacco in recent history. Today’s review, of course, is for the illusione f9, also known as the “finesse” (6.25″ X 44). This cigar, as well as its recent brethren, were purchased at a local shop that I frequent, and can be found in the Tampa market for about $8.00 each. Just giving it a cursory once-over, I don’t see any noticeable visible flaws, blemishes, or imperfections in the wrapper. There is one slight soft spot about an inch in from the foot, but not prominent enough to give me any worry. It has a very uniform, chocolate color to it and a light, smooth sheen on the surface. Some recent examples have had a slightly reddish tint to them, but this one does not. After clipping, the prelight draw is well within the optimal range of being firm enough to know you’re smoking a cigar, but free enough to allow plenty of smoke to pass. The flavor of the cold draw is mild and pleasant, giving just a hint of leather perhaps. 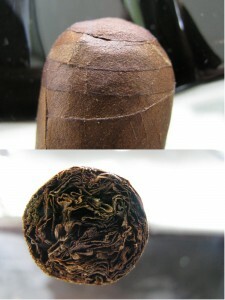 With first light and into the first inch of smoking, the draw and burn are exceptional. The finish is very pleasant and clean, only lingering for a few moments between puffs on the palate. It comes across to me earthy at this early point, with a healthy dose of woodiness, which I find quite pleasant. There is a slight bit of black pepper here as well, which I find in many Nicaraguan tobaccos – especially early on in a cigar. The cigar is burning at a good clip, but does not heat up at all. The soft spot proved to be inconsequential, and as a sidenote none of the others I’ve smoked in the past 30 days has had any similar spots. I would rate the strength in this first inch to be on the heavier end of “medium.” Late in this portion of the stick, I also notice a prominent floral quality to the smoke. Moving on to the second inch of smoking, the floral quality I mention above transforms into a sweet, cedar flavor. Not the astringency that is sometimes associated with cedar…more sweet, similar to a flavor profile I liken to the spices sometimes used in Caribbean cooking (i.e. allspice). The burn slows during this time, which may be accounted for in the change in density within the cigar. From the third inch and onward, the burn did wander just a slight amount. I touched it up once or twice, but it was never a bother. It has been very well behaved. The smoke production has been plentiful throughout, even after letting it sit in the ashtray for a minute or more. I am more than impressed with the f9’s ability to remain lit for extended amounts of time between puffs. 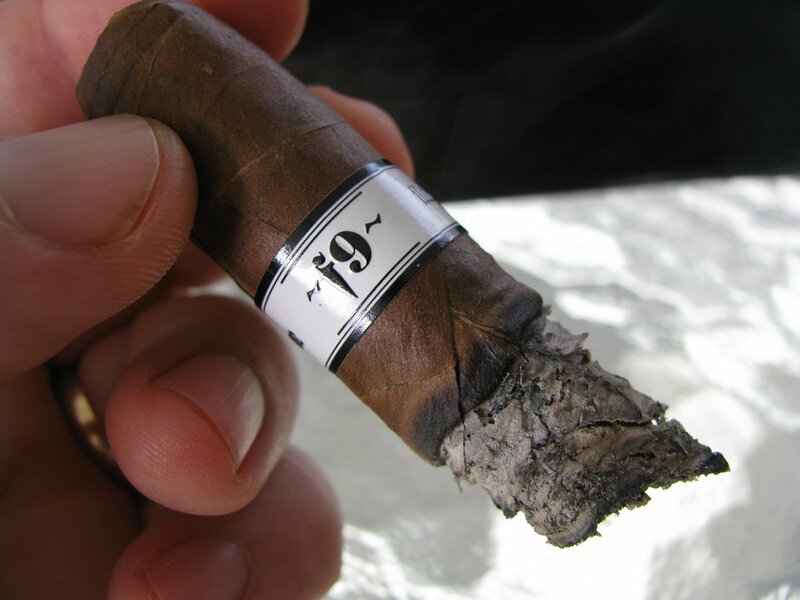 Toward the end of the cigar, the smoke developed a dryness that was not present earlier. The flavors remain varied, but definitely dwelt on the darker end of the spectrum – earthy, leathery, and with a slight sweetness. The finish remains very clean…flavorful, but never cloying of leaving a “polluted” feeling. 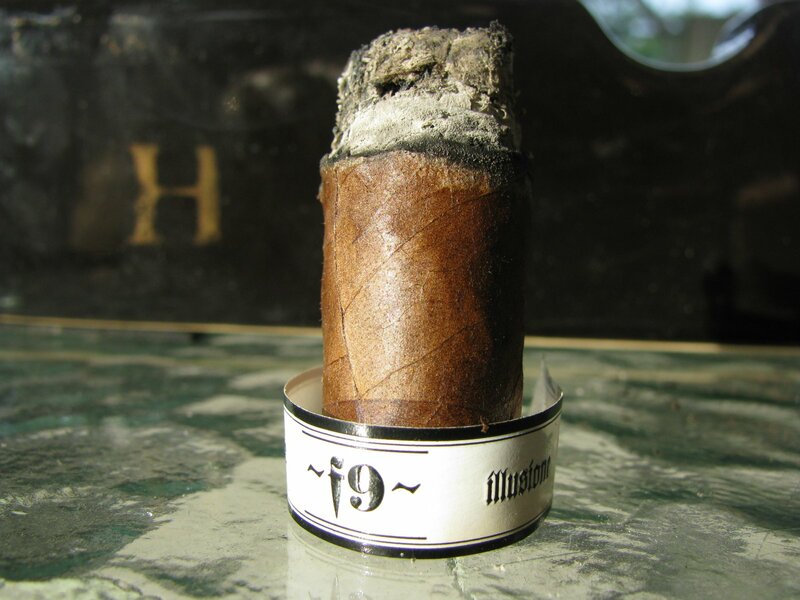 So, does illusione f9 live up to their stated goal of producing a modern cigar modeled after Nicaraguan sticks of yesteryear? I can’t answer that, as I was only 6 years old when those fields went vacant. However, I find them very agreeable to my palate. The f9 fits in my preferred range in size, but I have to admit to enjoying all of the others I’ve tried as well. The quality and consistency are topnotch, the balance in blending is more than impressive, and the flavors are bold enough for an old codger looking for quintessential Nicaraguan fare…but approachable enough to be a worthwhile foray for anyone. I would not hesitate to pull the trigger on keeping plenty of them around. In fact, I have begun to put some away for the future, assuming I don’t smoke them all up in the short term…I’m actually smoking one right now as I type these notes….